Our portfolio of solar pv inverters include both grid tied and off-grid solar inverters. Solar inverters are the heart of a solar photovoltaic system; therefore the reliability factor is crucial at the selection. Inverters convert DC (direct current) electricity generated by photovoltaic modules or wind turbines and stored in batteries into AC (alternating current) power required to run conventional appliances and/or for connection to the grid. Our inverters have the best performance, quality and best guarantee terms in the market. As a leading global inverter retailer and solar inverter distributor our purchasing power enables us to deliver these inverters at best retail prices in every market we operate. All our solar inverters come for world leading manufacturers. The inverter product range covers power ranges between 250W up to 500kW, suitable for all types and sizes of photovoltaic installation. The solar inverters can be ordered 24/7 from our online shop. ZEROhomebills.com and its partners inverters in 4 warehouses around the globe. Share your experience, learn from others, follow-up on our training and webinars in our ZERO Home Bills Community. SMA is the world number one manufacturer of grid connect inverters and off grid inverters, SMA features SMA Sunny Boy, SMA Sunny Tripower and SMA Sunny Island models for projects ranging between 3kW and 50kW. 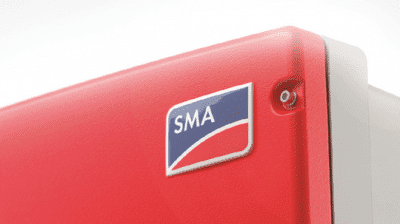 SMA inverters are available from both our European and USA warehouses. SolarEdge is a world leader in optimized solar system components. The SolarEdge systems utilise optimisers on each solar panel to get the maximum power to the solar inverter. A perfect solution when shading is an issue. We store SolarEdge inverters and Optimizers both in our European and USA warehouses. The Austrian Fronius is a tier one grid tied solar inverter manufacturer. Fronius Inverter range covers power ranges between 3kW and 27kW for an on-grid operation and between 3kW and 5kW for Hybrid solar systems. We store Fronius inverters in both our European and USA warehouses. The Dutch Victron Energy is the word leader in off-grid solar inverters and inverter/chargers manufacturing. Victron off-grid inverters and inverter/chargers have a strong reputation for technical innovation, reliability & quality. Victron products are available from our European stock. The Australian Selectronic solar inverters are on of the best inverters for off-grid and hybrid solar systems. Our Selectronic inverters are delivered from Perth Australia. Huawei is one of the top 10 inverter manufacturers in the world and the No 1 central inverter producer globally. The company focuses on residential, commercial and utility scale grid tied solar inverters. The Huawei inverters are available from our European warehouse. The Chinese Sungrow has more than 3 decades of experience in solar inverter manufacturing. Their portfolio features mainly commercial and utility scale solar inverters. The Sungrow solar PV inverters are available from our warehouse in Europe. Solis Ginlong has more than 20 years of experience in Solar PV inverter manufacturing. Solis solar inverters feature singla phase, theephase and hybrid solar inverters Solais inverters are available from our stock in Europe. The Chinese Growatt with manufacturing facilities in Asia and EU is our value for money range of solar inverters. Growatt solar inverters are available from our warehouse in Europe. Although our Goodwe range of solar PV inverters are not that extensive we do stock low power range of Goodwe solar inverters as well as Goodwe Hybrid inverters for residential use. Goodwe inverters are available from our European warehouse. Delta is one of the largest inverter manufacturers in the world. Our stock of Delta inverters feature residential, commercial and hybrid inverters. The Delta solar pv inverters are available from our European warehouse. The German ABB is amongst the top solar inverter manufacturers. We stock ABB inverters from 3.3kW up to 27.kW to accommodate both residential and commercial solar needs. ABB solar inverters are available from our European warehouse. The German Kostal inverters are unique both in single phase and three phase solar applications. Kostal hybrid inverters are on top of the list when it comes to battery storage. We stock Kostal solar inverters and battery inverters only in our warehouse in Europe. Although Steca is one of the key players in off-grid solar solutions the German company has a very high quality of grid tied solar inverter range. Steca solar pv inverters are available from our warehouse in Europe. The German Phocos with manufacturing facilities in China is one of the key players to consider hen it comes to off-grid solar system. Phocos inverters are available from our stock in Europe. SolaX products are designed, tested and manufactured to the highest global standards. We stock Solax inverters and hybrid inverters via our European warehouse. Zeversolar a subsidiary of SMA Solar AG manufactures its solar inverters in China. Zeversolar inverters are delivered from our European warehouse. The American Enphase Energy` solar microinverters are characterised by quality and reliability. Enphase microinverters are available for delivery our European warehouse. All APsystems (APS) microinverters are engineered to comply with local grid requirements, ensuring safety of system installers and emergency responders. APS products come with a 10 year standard guarantee. The APS microinverters are available via our USA warehouse. Studer Innotec solar inverters are slogan is: Off-Grid Experience and Competence. The company manufacturers its solar inverters, inverter/chargers and MPPT charge controllers in Switzerland, according the highest standards. Studer solar inverters are delivered from our European warehouse. The American OutBack Power designs and manufactures off grid and grid connected solar plus storage systems for energy independence. OutBack off-grid inverter/chargers are robust with a proven track record in use for remote power generation. Outback products are available from our European warehouse.